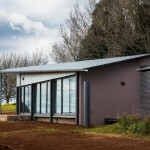 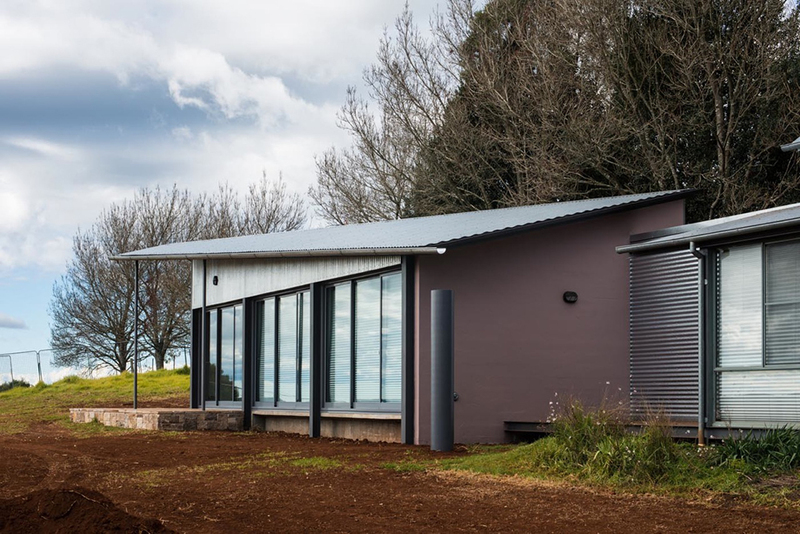 On a rural property with incredible views over the countryside an Architect was given free range to create a quirky library addition to the existing studio on the property. 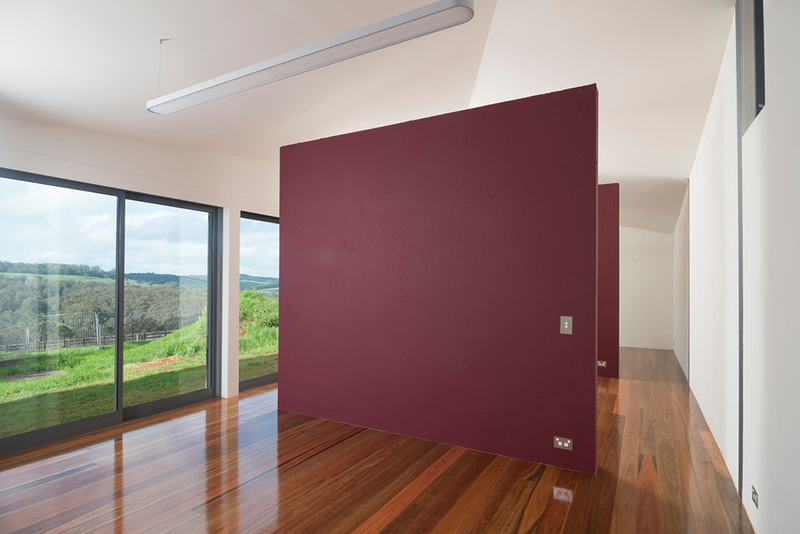 With only two requests from the client, one to capture and maintain the views from the existing and new building, and secondly, the interior had to have the potential of easily being turned into three bedrooms down the track. 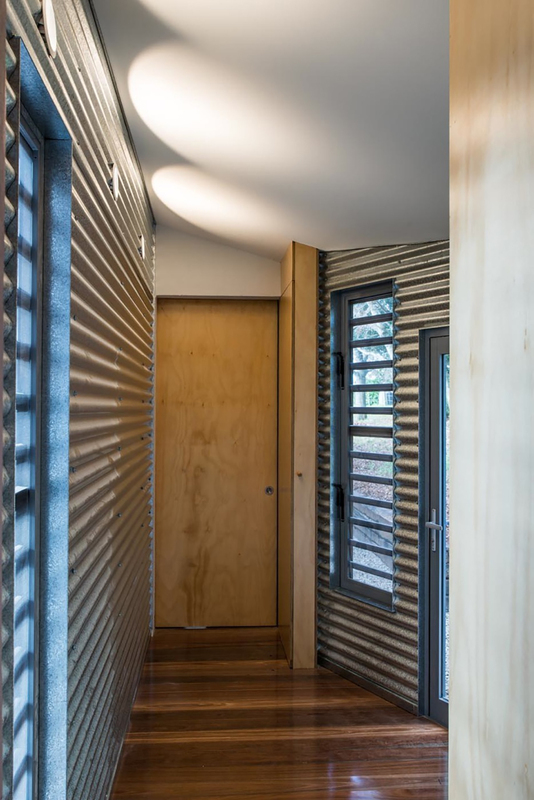 The interior is crisp with clean lined details, while the hebel walls were texture bagged for an intentional “rough” look and feel. 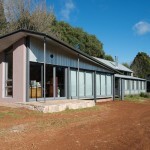 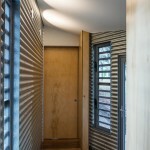 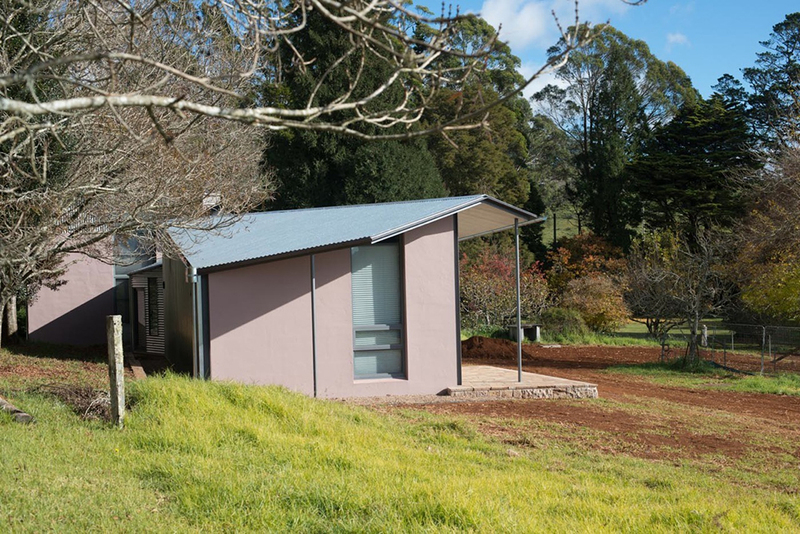 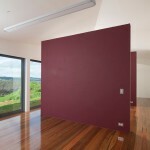 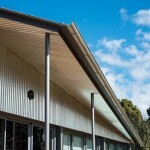 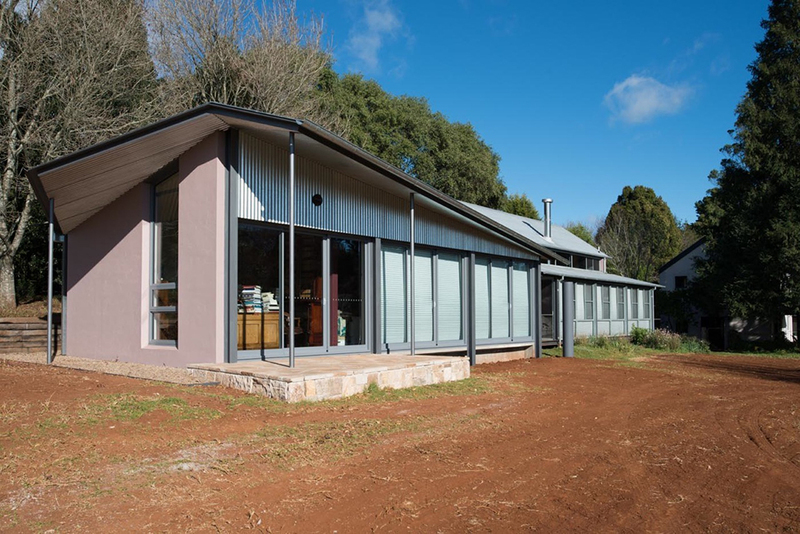 The raked ceilings were plasterboard lined to showcase the twisted roofline, and spotted gum timber floorboards were used to match that of the existing studio. 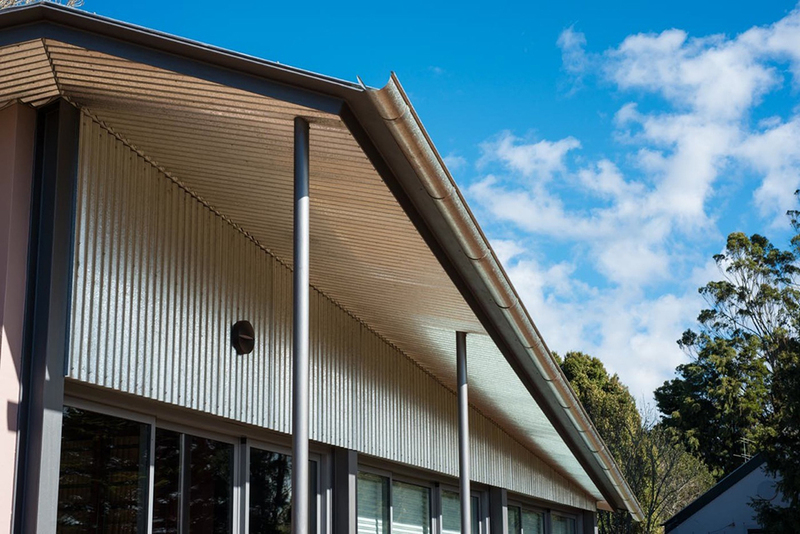 Externally the twisted roof provided some challenges and was made in a factory and pulled apart in sections to transport to site to be craned into position, this proved to be the best decision we could have made. 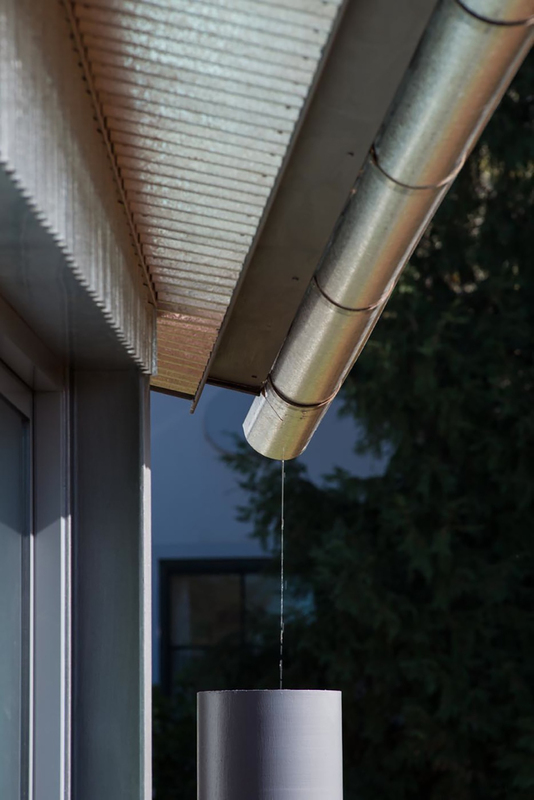 It also meant that the gutter brackets, rainwater heads, and freestanding downpipe all had to be custom made, but the end result was spectacular. 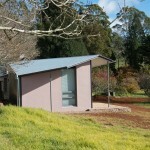 Nothing was standard on this project.